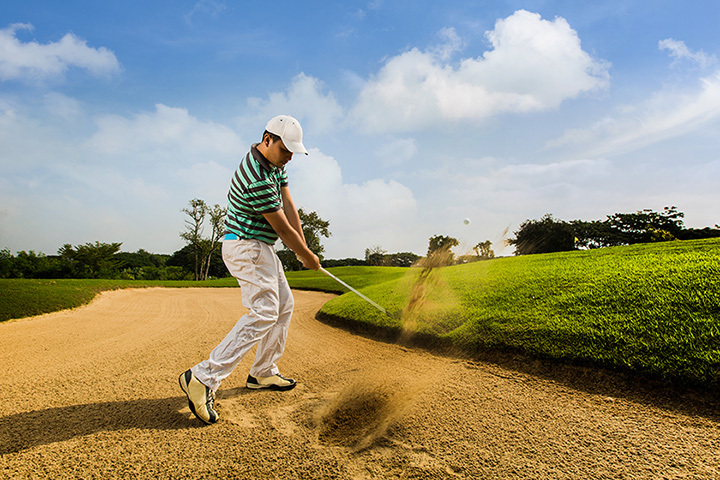 Did you know that Myrtle Beach is considered among many to be the golf capital of the world? That’s quite an honor for South Carolina. It also means you can find an abundance of amazing courses all around the Palmetto State. Even if you aren’t good enough to compete in the Masters, you can still get your swing on at one of these nine best public golf courses in South Carolina. It’s hard not to fall in love with the insurmountable beauty that encompasses every inch of the Grand Dunes Golf Couse. In short, it’s well known as a golfer’s paradise. The course is challenging enough to help you sharpen your skills, but not to the extent where you’ll walk away frustrated. But even if you don’t score well you might be too busy taking in the sights of the Intracoastal Waterway to care too much. Located within Sea Pines Resort, golfers flock to this course for the hospitable experience as much as the game itself. It’s also a major favorite among PGA tour players. Fun fact: the course doubles as a Certified Audobon Cooperative Sanctuary. Situated on the grounds of a former indigo and rice plantation, True Blue is steeped in both history and fame for its phenomenal course. It retains its uniqueness by having utilized much of the natural vegetation you’ll find in the coastal region. Aside from the main course, you’ll also find the roots of the Steve Dresser Golf Academy, complete with an 18-hole practice course. Some call it the hardest course they’ve ever played. Other says it’s the best course they’ve ever played. You’ll have to call it for yourself, but there’s one thing most players who have visited the course can agree on: it’s nothing short of spectacular. One of several courses on the Kiawah Island Golf Resort, it ranks as the fourth best course in the entire U.S. It also holds the title for the most seaside holes in the Northern Hemisphere. Golf Digest ranks the Links at Wild Dunes among the top courses in the entire state, and it’s easy to see why. Having undergone recent renovations, the Links course starts strong and ends with a beautiful view overlooking the Atlantic Ocean. You can also hit up the putting green or driving range before making your way around the course. It’s got a fun name, but an even better course. Wyboo has garnered much attention during its 15-plus years of life as being one of the best in the state. Its beautiful rolling landscape, dotted with bunkers and water-filled areas, make the entire experience as pleasant as it is relaxing. The folks who created Village Greens took every possible care to retain as much natural beauty of the landscape as possible. Originally a 100-acre farmland area, this course has been serving golfers with a fun experience for nearly 50 years. After you finish your round, head to the clubhouse for a refueling session with Dickey’s barbecue. One of Greenwood’s best kept secrets, the Links at Stoney Point is the talk of local and traveling golfers alike. They believe in delivering a total package experience, from the pristine course to delicious food to tennis courts and the swimming pool, all alongside glistening Lake Greenwood. Don’t be fooled by the name—there are no evil forces here to sabotage your golf game. The Witch is one of the Grand Strand’s most talked about courses, boasting a “magical” experience that makes golfers return to it year after year. Some of its physical trademarks include black water ponds, moss-draped trees, and a unique layout that gives golfers an above-average experience.